Ford Focus Interior, Sat Nav, Dashboard | What Car? The driver's seat in the Focus is excellent. Both height and lumbar adjustment are standard across the range, and if you get the Comfort seat (standard on the top trims and optional on cheaper ones) this offers 18-way manual adjustment and an extendable seat squab. There’s also loads of steering wheel rake and reach adjustment so it's easy to find a suitable posture, whatever your proportions. 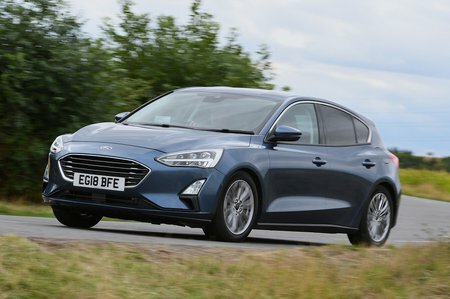 The alignment of the steering wheel, pedals and seat are nigh on perfect, too, and Zetec models and above have the luxury of a front centre armrest. We love the uncluttered dashboard layout and orderly instruments. In fact, the instruments are so clear and easy to read that the optional head-up display seems an unnecessary expense. The view out of the Focus is generally good. The front pillars are no more obstructive to your forward visibility than in any other model in the family car class, and while over-the-shoulder visibility is spoiled by a rear window line that tapers up towards a couple of thickish rear pillars, that too is par for the course among its competitors. Parking sensors (front and rear) are a reasonably priced option on lower trims and standard on upper models. They also come as part of a Convenience Pack, which includes a rear-view camera and parking assist to help guide you into parking spaces. LED headlights are optional on the upper trims and standard on the range-topping Vignale, and can be upgraded to adaptive LED headlights if you’re prepared to pay a fairly hefty premium. As well as being able to run on full beam even with oncoming traffic – by shaping the headlight beam to avoid dazzling other drivers – they use information from a camera to aim the beams into corners. The list of infotainment equipment that you get with entry-level Style trim includes a DAB radio, Bluetooth connectivity and two USB ports. However, you have to make do with a 4.2in screen that looks pretty basic, so we’d recommend upgrading to a Zetec or ST-Line model. These bring a 6.5in touchscreen with Apple CarPlay and Android Auto, allowing you to tether your phone and control selected functions, such as navigation apps, through the car. It’s just a pity some of the icons are fiddly and the system isn’t as quick to respond as those found in the Skoda Octavia and Volkswagen Golf. Sadly, the same criticisms can be levelled at the 8.0in system that’s standard from Titanium and ST-Line X models. It's a shame, because it features everything from built-in sat-nav with live traffic updates to a wi-fi hotspot for up to 10 devices. Let's start with the good bits. 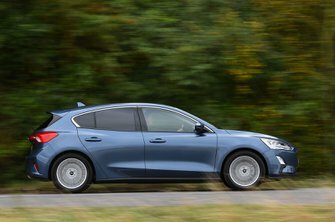 The Focus’s interior feels reasonably sturdy and all the upper surfaces are pleasingly soft to the touch, while every model from Zetec upwards gets a nice leather-wrapped gearknob and steering wheel. There are some thoughtful touches, too, such as carpeted front door bins that stop your keys jangling about. Yet a Golf it certainly isn’t – or even an Octavia or Kia Ceed. 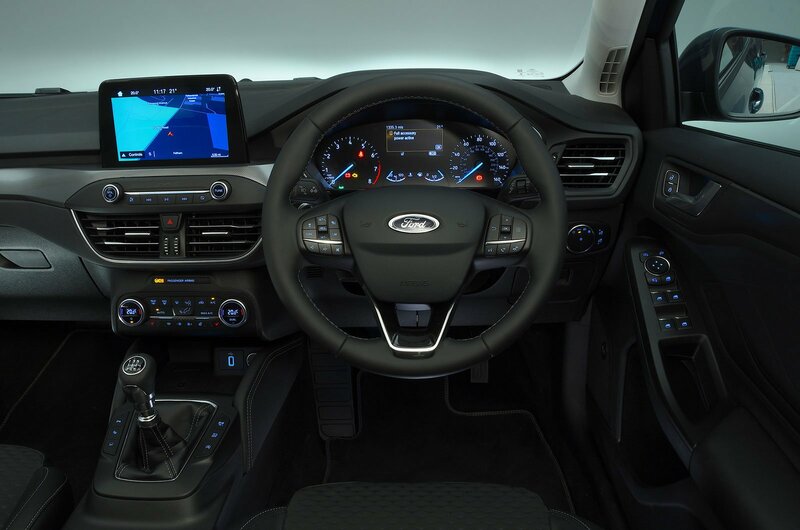 The Focus has more harsh and shiny plastic in prominent places, such as those surrounding the heater controls which look positively Pound Shop. More of an effort has been expended on the pricier versions, but no amount of faux chrome, wood or carbon-fibre highlights, nor the leather-wrapped dashboard of the top-spec Vignale, can imbue the Focus with a genuinely upmarket ambience.